April | 2016 | Sonic Smash-Music! The purveyors of love and music known as One World 1 Love have released their new single, “What the World Needs Now Is Love” (feat. Guylaine Vivarat). The track has been published with a B-side, “Put a Little Love in Your Heart” (feat. Guylaine Vivarat, Juanita Brundidge and Kailah). Both feature the skills of producer and musician Leon Haywood and were recorded at Haywood’s Sunnyside Recording Studios in Los Angeles, California. A return to the titanic goodness of the classic era of soul, “What the World Needs Now Is Love” is a single fans of peace, compassion and music everywhere will appreciate. One World 1 Love’s “What the World Needs Now Is Love” is the newest rendition of the favorite penned by Burt Bacharach and Hal David in 1965. There’s much more to this fresh take on the old pop single, however. They plan also to reach out to recording artists Guylaine, Adele, Jennifer Lopez, Nicole Scherzinger, Rihanna, Rashida Jones, Lolo Jones, Katy Perry, Taylor Swift, Juanita Brundidge, and rapper Mick. 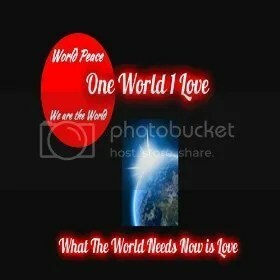 “What the World Needs Now Is Love” by One World 1 Love is available at over 700 digital music stores online worldwide now. The music producer and artist known as Enntice has released his debut single, “Get a Little Crazy.” The dance pop track has been proudly published on the Escape Records independent music label without creative interference from the corporate music industry. Booming with bass, rattling with rhythm and boasting masterful Stevie Wonder-esque vocals, “Get a Little Crazy” is a dance single fans of great music are sure to get behind. Enntice cites as chief artistic influences some of the most important musicians of the latter 20th century, including Michael Jackson, Prince, Jamiroquai, Sting, UB40, Seal, Nile Rogers, Stevie Wonder, Ceelo Green, Rihanna, Coldplay, Chris Brown, Bob Marley, David Bowie, and Black Uhuru. As any music fan can tell from this distinguished roster, Enntice has varied tastes – good tastes. This is not unlike the sound and style of “Get a Little Crazy.” The track has smatterings of attributes from nearly all the names cited above. It’s classy, upbeat, dance-inspiring, and has a healthy tinge of madness in its beat. A man of the world, Enntice has spent time in Jamaica, Philadelphia, Ibiza and the UK. His music is a reflection of those experiences. 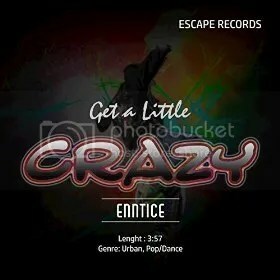 “Get a Little Crazy” by Enntice from Escape Records is available online at over 700 digital stores worldwide now. The music producer from Atlantic City, NJ known as Clazzik BizMoff has released his latest official single, “Melodic Clouds.” The track has been proudly published on the New Way Music Group independent record label entirely without the direction or support of the corporate music industry. Dreamy and evocative, colorful and inventive, “Melodic Clouds” is evidence that Clazzik BizMoff is a name to watch out for in 2016. Born and raised on the East Coast of the US, Clazzik BizMoff cites as main artistic influences Kanye West, Ryan Leslie, the Neptunes, Odd Future, Toro Y Moi, Flying Lotus, J. Dilla, and a Tribe Called Quest. BizMoff’s own “Melodic Clouds” clearly derives its emphasis on solid back beats from his excellent taste in hip hop, but the track itself is instrumental. 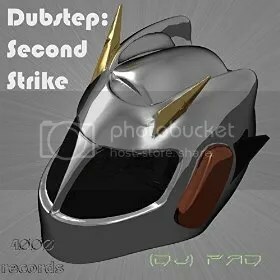 Fans of trip hop will be enthusiastic at its ambient overtones and spacey, floaty groove. “Melodic Clouds” from Clazzik BizMoff is a track the listener can mellow to in virtually any circumstance. It’s uplifting, positive, groovy, and doesn’t bother the listener with unnecessary frills. It’s an exercise in feel-good. This shouldn’t come as a surprise for fans of the artist, though, as it’s one of his chief aims in making music. 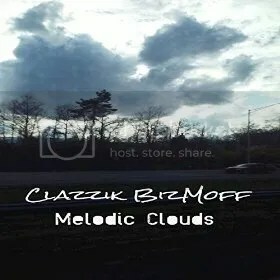 “Melodic Clouds” by Clazzik BizMoff from New Way Music Group is available online at over 700 music retailers worldwide now. The folk and rock artist from Moscow, ID known as Dylan Champagne has released his latest official single, “Pterodactyl Wings.” The single is the most prominent release from Champagne since the “Bones in Your Pocket” video from his rock band, the Lost Explorers, appeared exactly on this date one year ago. 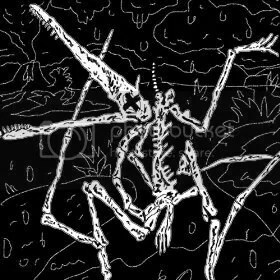 Like “Bones…” and other material from Dylan Champagne, “Pterodactyl Wings” has been published independent of the corporate music industry. An official video for “Pterodactyl Wings” has also been released and is free to view (https://www.youtube.com/watch?v=4MEgrcPhFzE). A genuine return to the American folk tradition while remaining true to his underlying rock roots, “Pterodactyl Wings” is the latest example of Dylan Champagne’s arresting imagination, inimitable vocal tones and undeniable knack for crafting songs as individual works of art. Music by Dylan Champagne (and his ever-morphing crew of ingenious collaborators) is music for the true audiophile. From his 2011 “Love Songs of the Apocalypse, Vol. 1” LP to his 2013 “The Bones” EP with the Lost Explorers to this fresh “Pterodactyl Wings” video and folk single, his sound transports, narrates, evokes, is gorgeous, is human, and is alive. Even when at his most aggressive – half of “The Bones” borders on outright punk rock – the overarching feel and mode of Champagne’s art is palpably compassionate and surprisingly touching. This humanistic trait is perhaps nowhere felt as strongly in Champagne’s repertoire as in “Pterodactyl Wings,” and especially in the video. This makes the folk single an important marker in the career of Dylan Champagne, one which fans and newcomers alike would be astute to note and appreciate. Dylan Champagne’s musical vision takes him to far-flung and exotic places in the art world. Denizens of the American Northwest with a penchant for one-of-a-kind music experiences would be unfortunate to miss this exceptionally rare opportunity. But everyone in the world gets to enjoy “Pterodactyl Wings” from Dylan Champagne now, and everyone who loves great music should do so. Dylan Champagne’s “Pterodactyl Wings” is available directly from the artist’s website and from iTunes and 700 online music stores worldwide. Get in early, folk fans. Very early. The Michigan rapper known across the nation as Bar Lingo has released his latest official single, “Radio.” The track has been proudly published on the BreadFyrst Entertainment independent record label without the direction of the corporate music industry. Pumped with bass, old-school power and some of the best lyrics ever to be carved from language, “Radio” by Bar Lingo is easily one of the heaviest-hitting hip hop tracks to emerge in 2016 so far. Bar Lingo cites as main artistic influences a timeless list of legends. These include Tupac Shakur, Eminem, Scarface, Rakim, Big L, Marvin Gaye, Kool n the Gang, Gap Band, Zapp and Roger, James Brown, and New Edition. His own music has been compared to Mystikal, Snoop Dogg and Ice Cube, each of whom would fit perfectly on a mixtape featuring Bar Lingo. Hip hop fans who agree that the scene has been hurt by a persistent influx of pop elements and pandering to the lowest common denominator are likely to hear much of what they’ve been missing in “Radio” by Bar Lingo. With an emphasis on carefully crafted lines and meaningful themes set to rock-solid back beats and creative instrumentation, Bar Lingo’s rap tracks are a reminder of what great hip hop can be. Nevertheless, his fan base grows daily, spurred on by the sheer quality of his tracks as well as by the force of his frequent live performances. In the end, music by Bar Lingo deserves a listen regardless of what kind of rapper the music fan may usually be listening to, and “Radio” is as good a place to start as any. 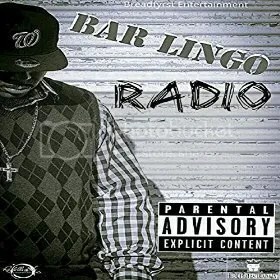 The single, “Radio,” by Bar Lingo is available from Breadfyrst Ent. At over 700 online stores worldwide beginning 20 April 2016. Get in early hip hop fans. Very early. 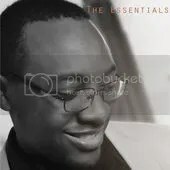 The composer and songwriter known internationally as Eliel Arrey has released his latest full-length record, “The Essentials.” The album contains no fewer than 20 tracks for an approximate total listening time of 80 minutes, making for a comprehensive collection of material from Arrey’s repertoire. It has been proudly published on the EA Music Group independent label. In addition to Eliel Arrey himself, the album features remarkable performances by Nasomi, Yolanda Arrey, and Steve Owner with an extended instrumental of Eliel Arrey’s ‘Paradise’ remix of Melissa Otero’s ‘Angels and Demons. '” Broadly varied, emotionally evocative, and showcasing the artist’s most innovative work to date, “The Essentials” from Eliel Arrey is indispensable for fans of pop music and epic anthems alike. Eliel Arrey cites as main artistic influences two families of musicians: for his anthems and classical tracks, Hans Zimmer, James Horner, Thomas Bergersen, John Powell, Audiomachine, and Two Steps from Hell; for his EDM productions, David Guetta, Avicii, Jake Shanahan, and Hardwell. These two musical identities dovetail smoothly on “The Essentials,” just as they intertwine in Arrey’s work in general. His electronica and pop music offerings tend to have aspects of classical narrative and sweeping, soaring waves of sound. Likewise, his classical compositions and soundtracks are marked with motivating narratives and memorable, catchy melodies as are found in his pop and EDM. This is seen in his use of bagpipes to play the African Cameroonian National Anthem, in kalimbas which lay the down his verses in “Far Cry,” and his exploration of the violins and woodwinds of the Celtic hills. Each of these are showcased through the impeccable audio vision of sound director and senior sound engineer Kevin Monahan of Love Audio Mastering. Songs on “The Essentials” come from many music genres, including new-age, modern classical, electro house, dance, hip-hop, R&B, orchestral, and world music. There’s also a song in honor of the late film-score legend, James Horner. With nearly every emotional hue coloring this striking example of unbridled innovation and musical alchemy, it’s improbable that the music fan won’t hear himself in it somewhere. “The Essentials” by Eliel Arrey from EA Music Group becomes available online worldwide 20 April 2016.